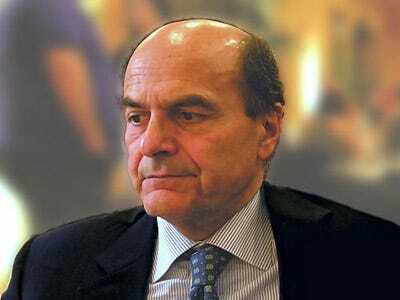 Pier Luigi Bersani, the favourite of the Italian election. Italy goes to the polls Sunday to select a new government.The stakes are this: Elites and Europe want to see a stable government, primarily made up of the liberal party (head by Pier Luigi Bersani) and the coalition lead by Mario Monti, the PM since 2011. What would introduce major uncertainty is if the Berlusconi coalition did very well, alongside upstart populist Beppe Grillo, whose anti-bank, anti-Euro movement is surging in the polls. The expectations are that the liberals/centrists will win. There are two big concerns related to the polling, which we’ve heard from multiple conversations. One is that the party structure is new. You have a lot of new parties and movements in this election, including the Monti coalition, and Beppe Grillo’s 5-Star Movement. When you’re doing polling on new parties that people aren’t used to, you can’t be quite as confident in the polling results, they worry. And secondly, some polls have shown up to a 30% block of undecideds, even still! If that’s the case, then there really is a lot of uncertainty going into Sunday.